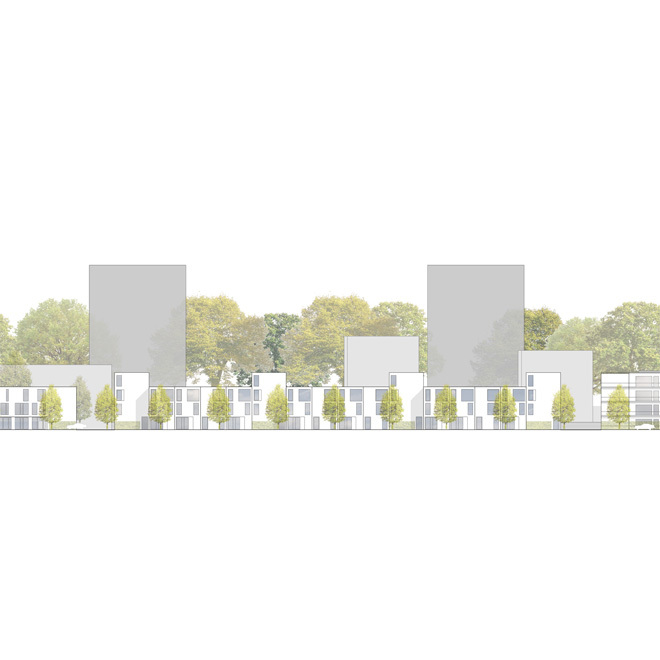 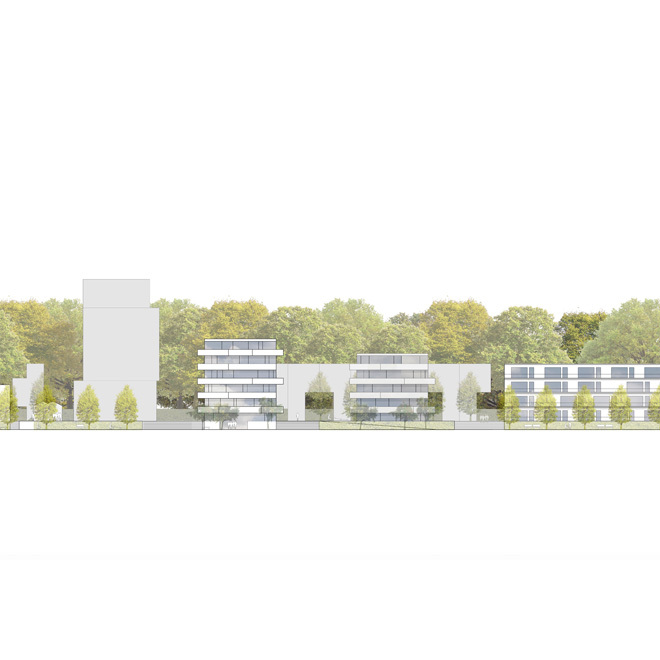 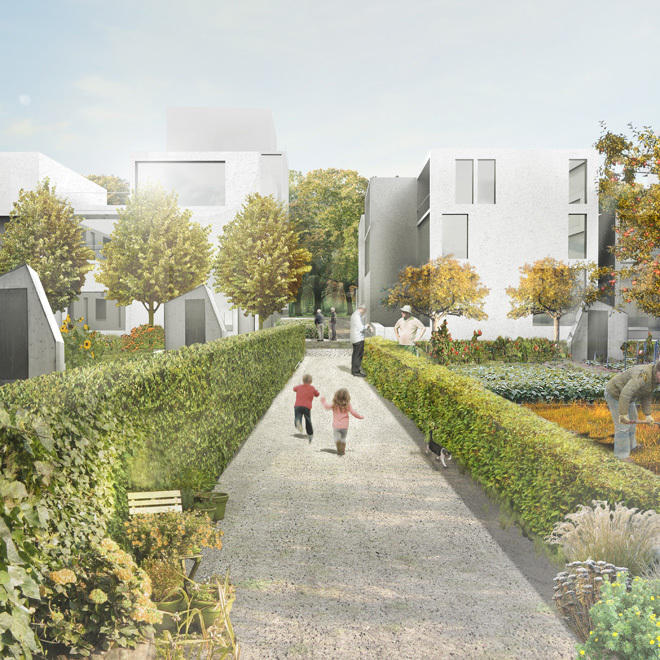 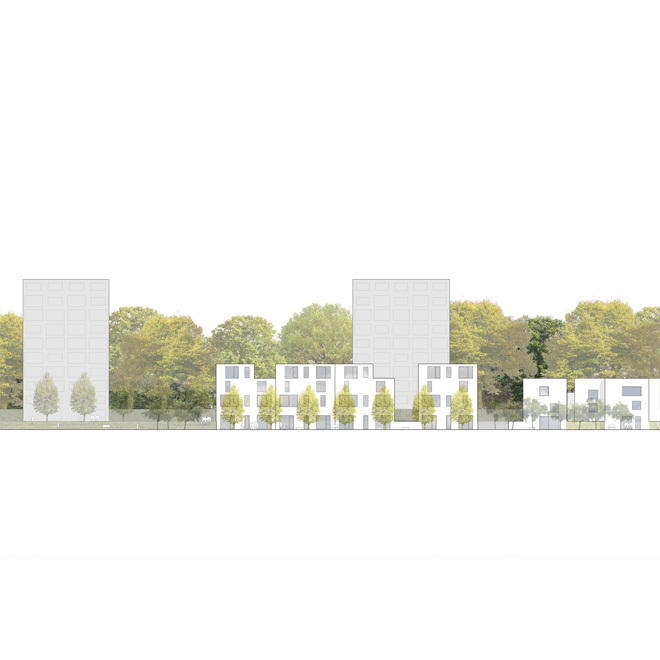 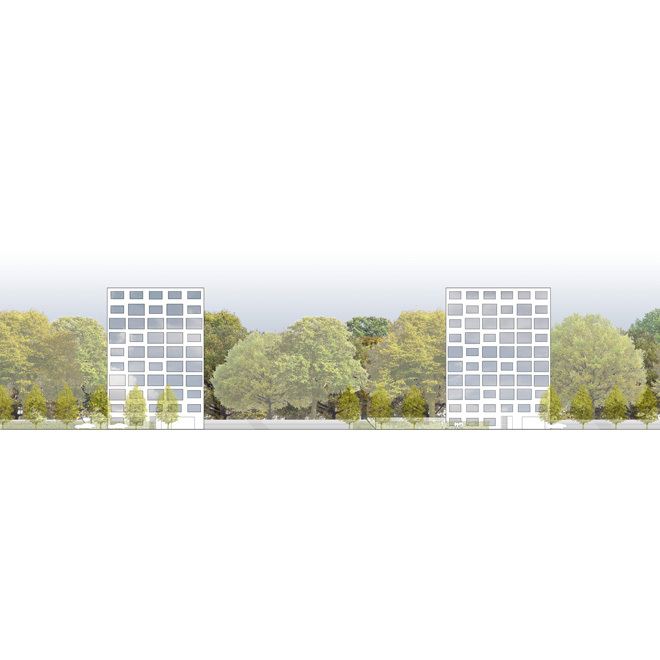 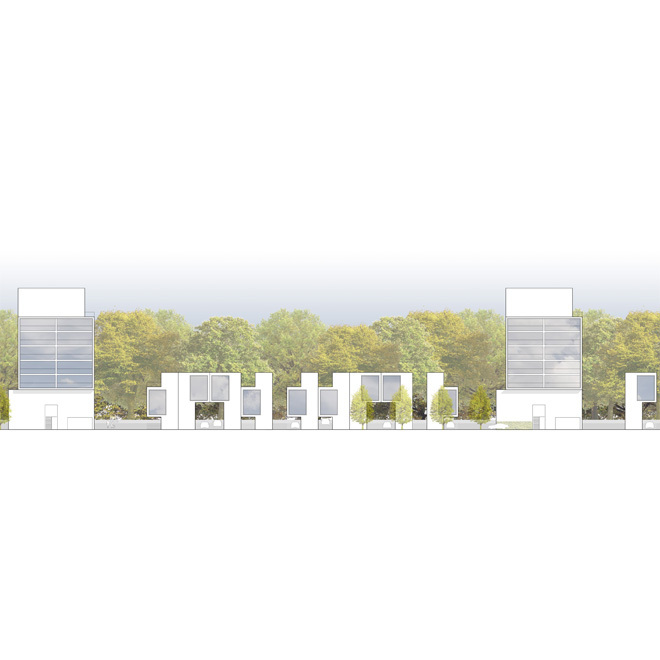 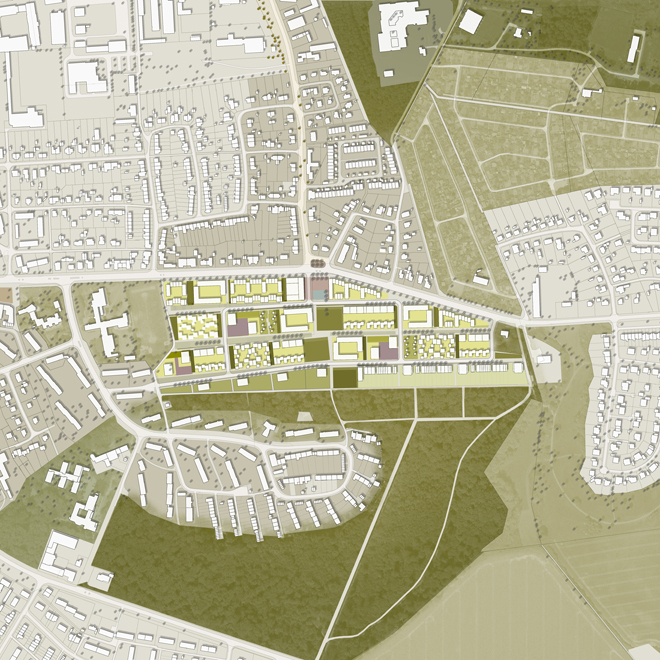 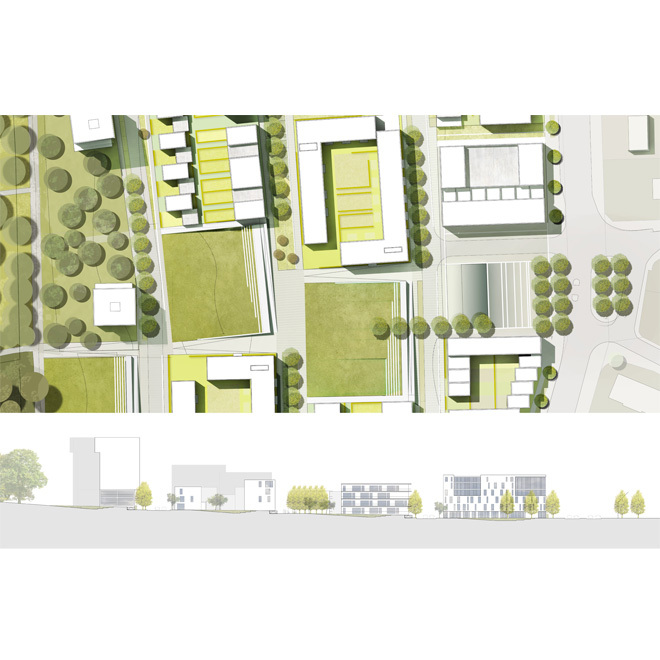 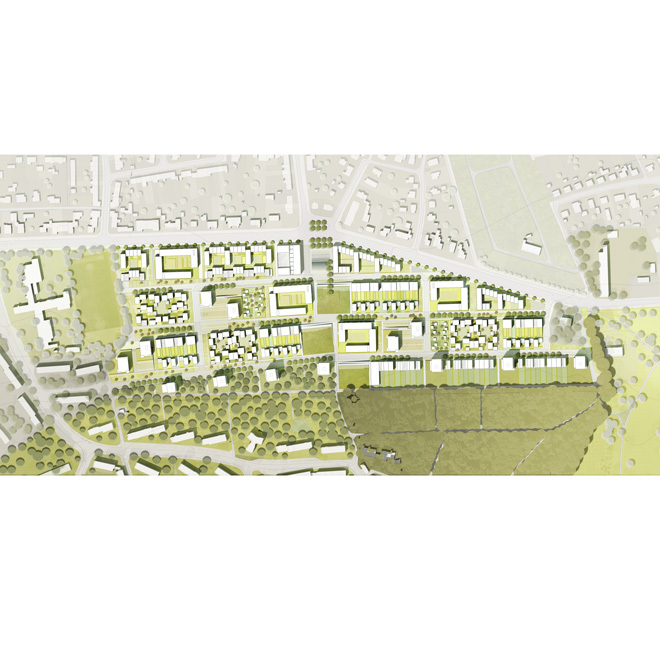 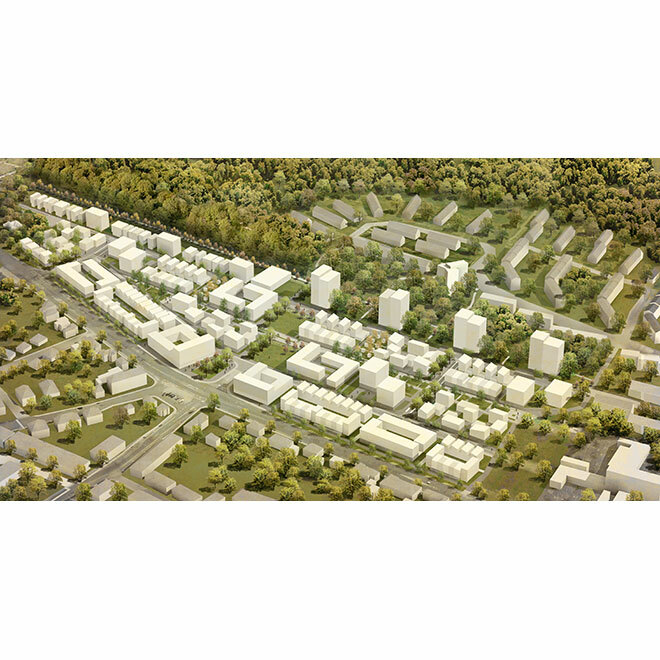 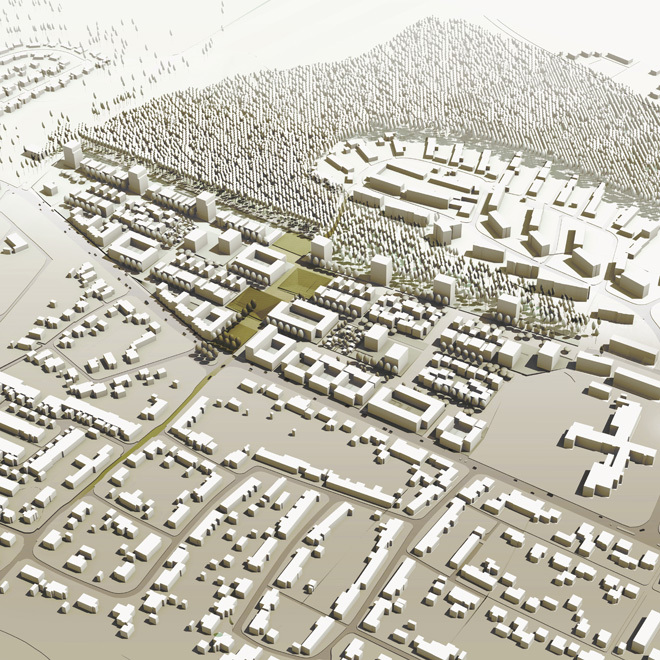 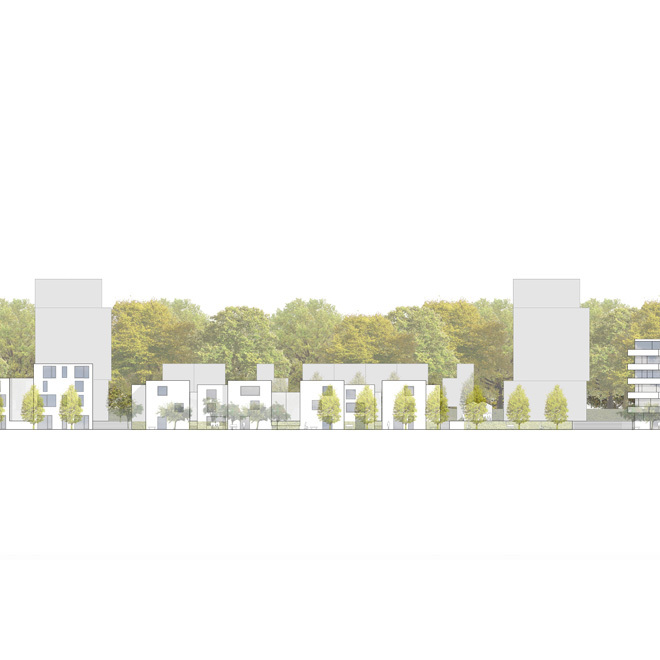 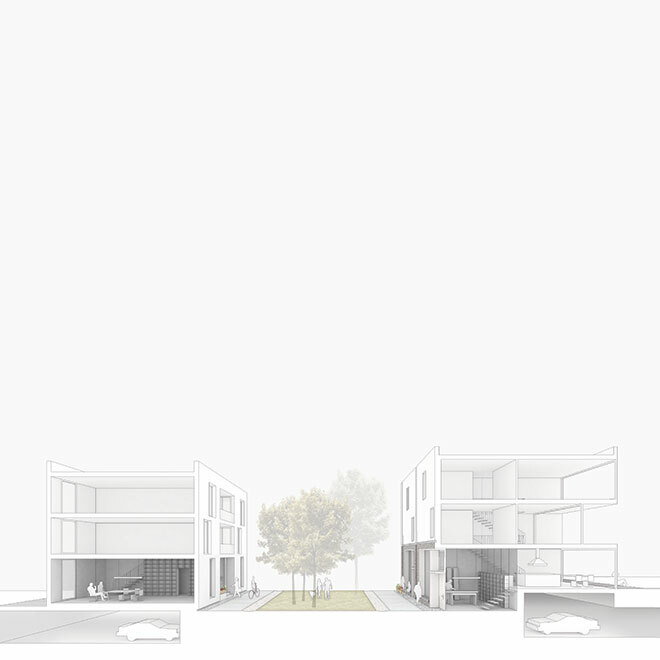 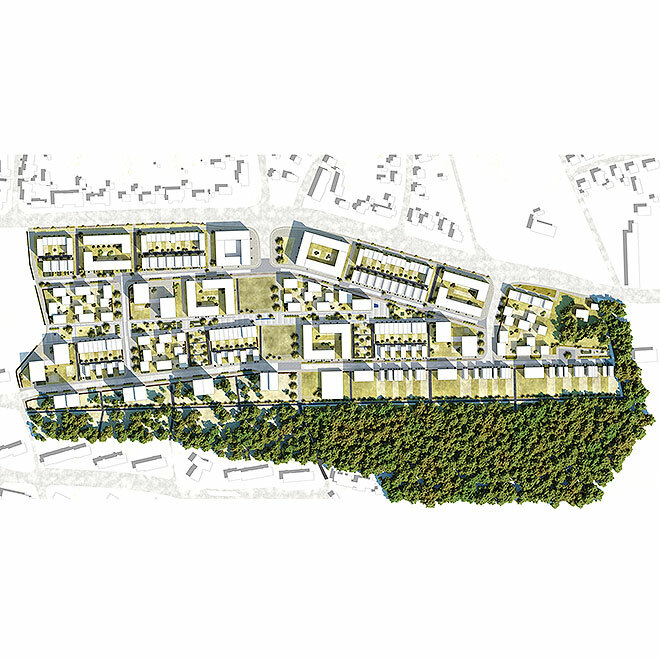 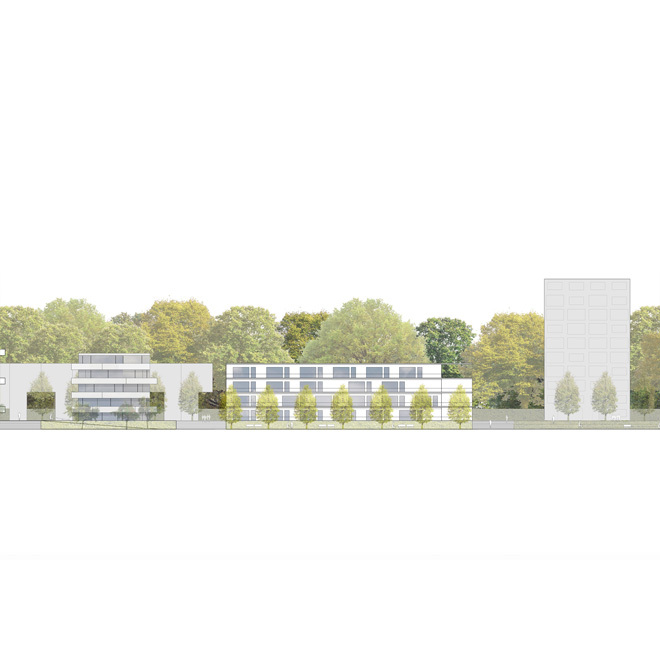 The design for the residential development is based on two local boundary conditions: first, the scenic and imposing forest edge in the south and, secondly, the typical Wolfsburg mixture of different types of housing developments that surround the site. 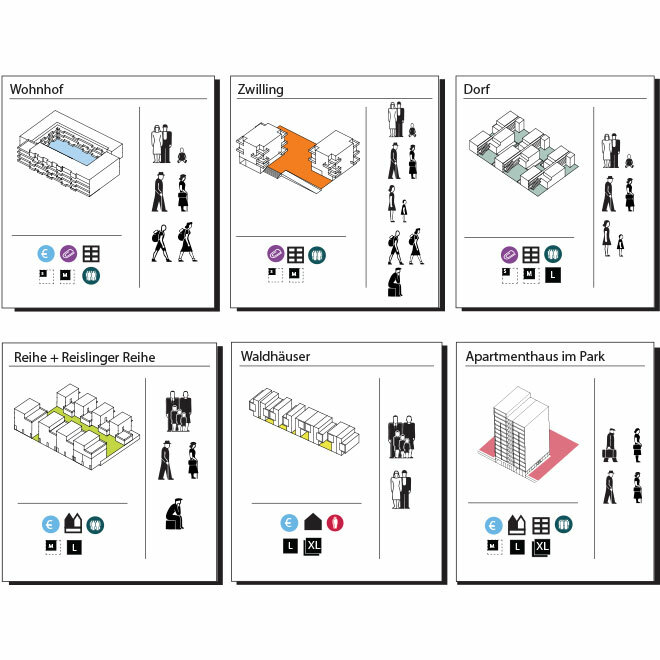 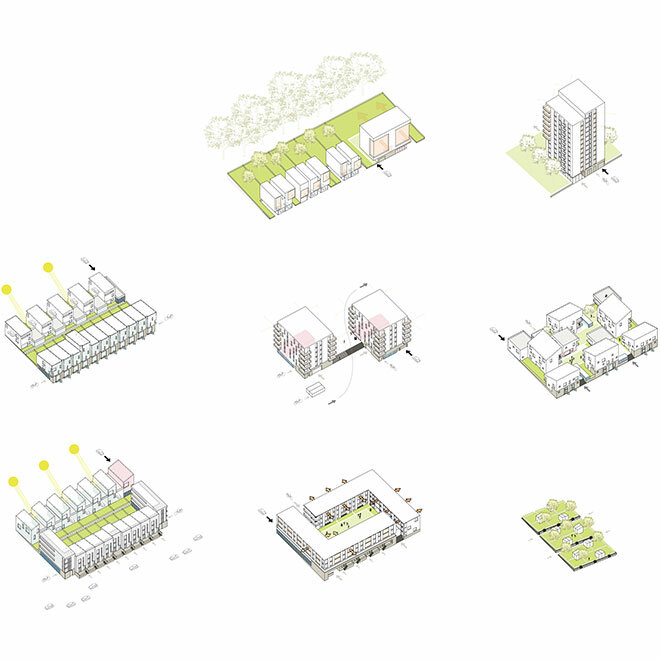 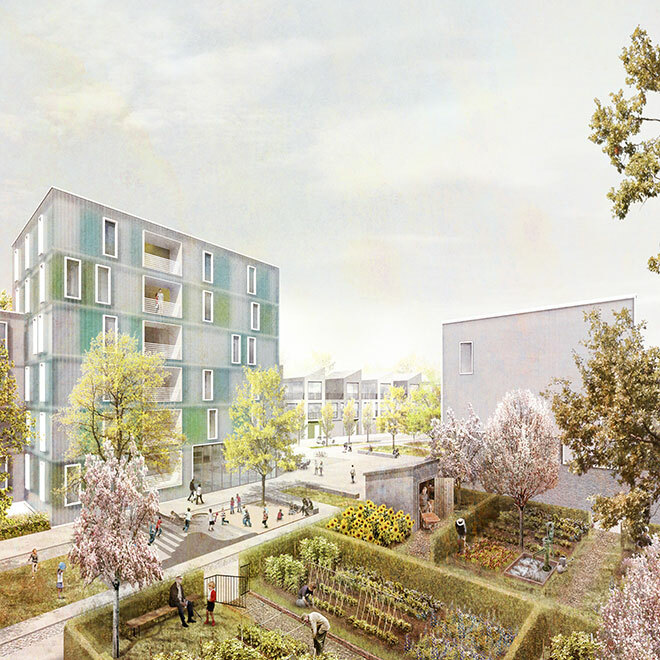 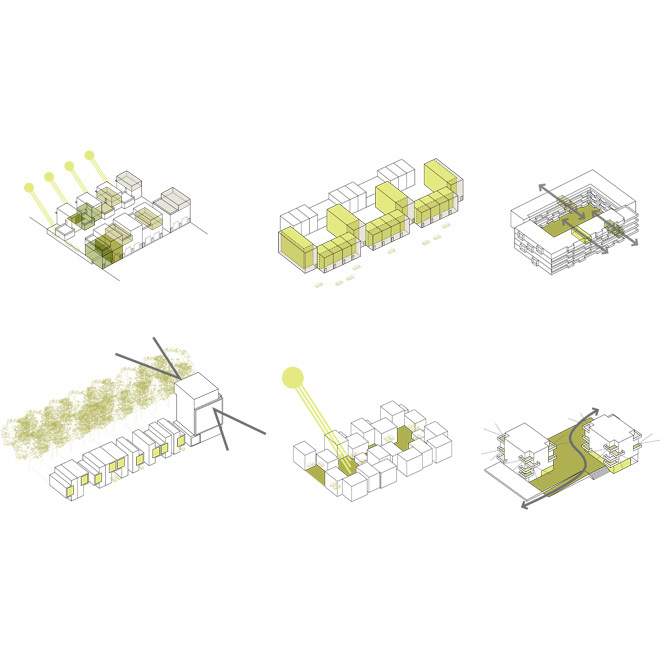 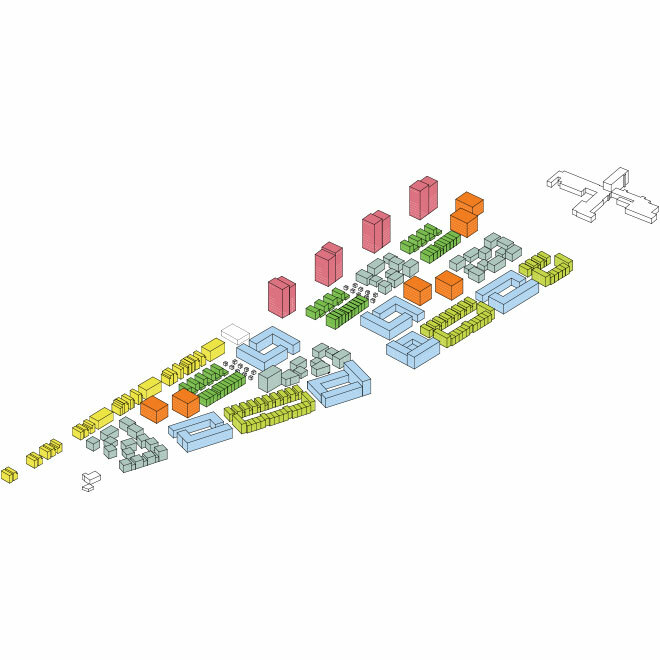 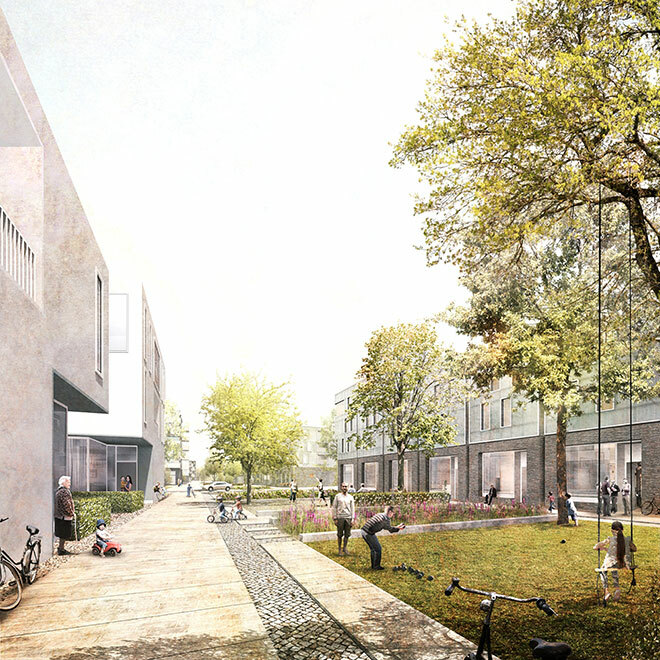 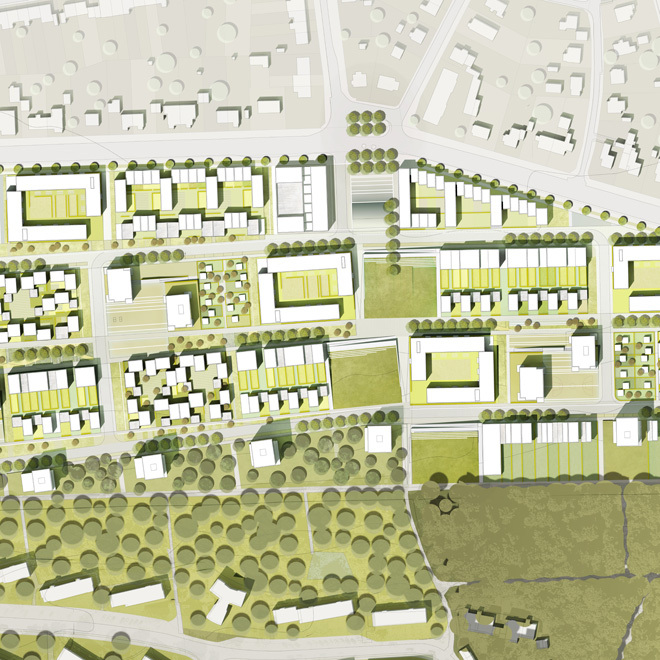 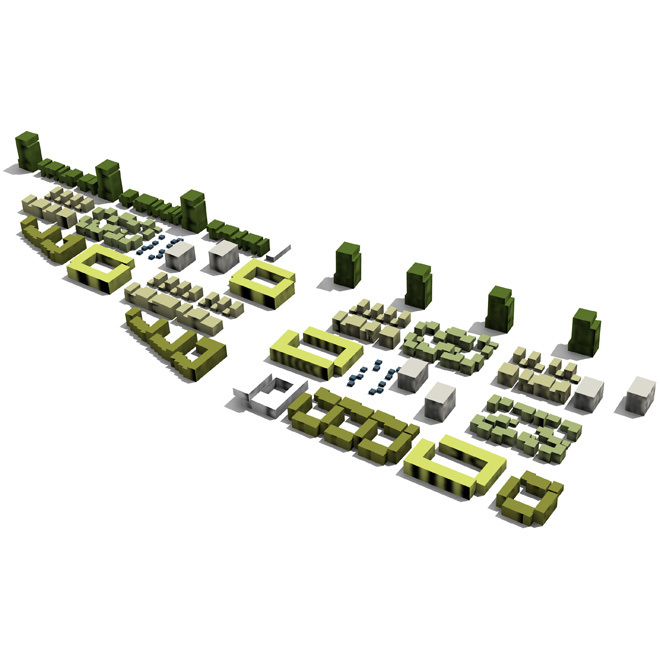 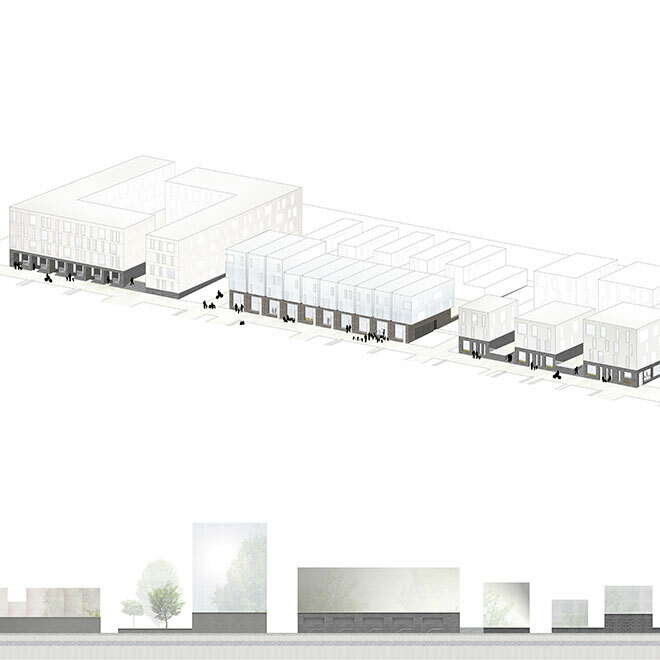 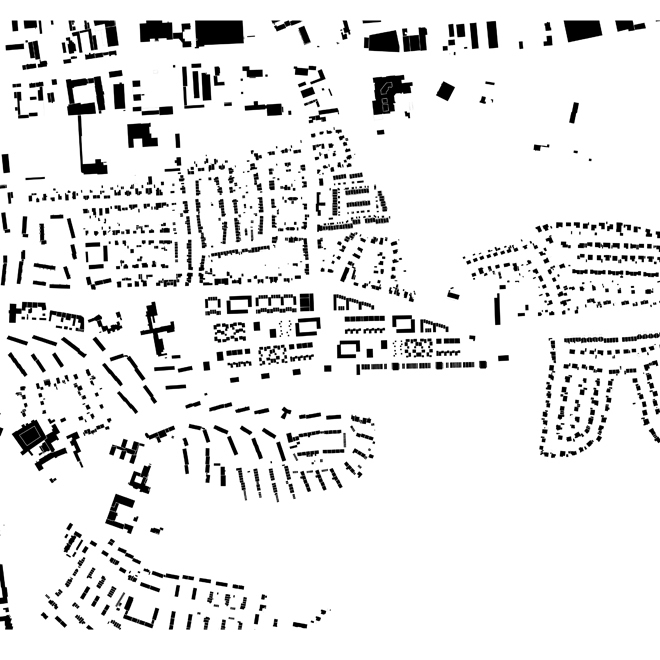 Densely built, terraced “green living” is proposed in the form of a “patchwork” of different types of housing (and therefore users), different public and neighbourhood spaces at various heights and a rhythmic mix of buildings and vegetation. 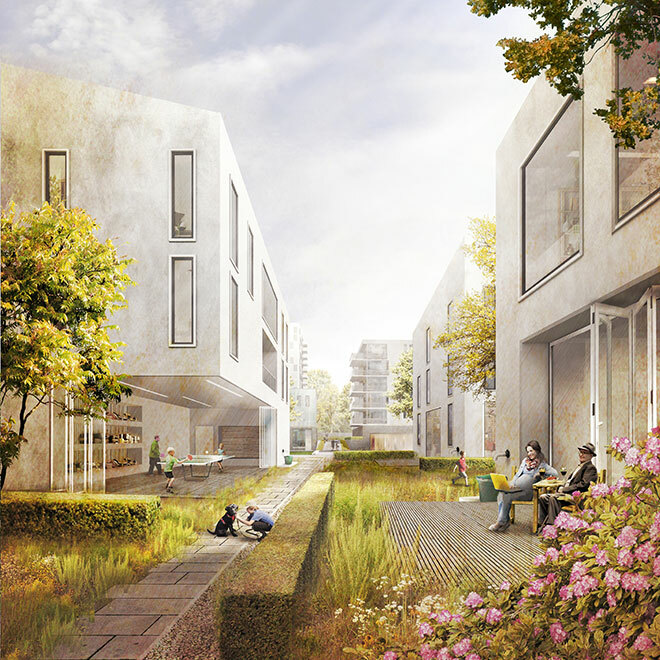 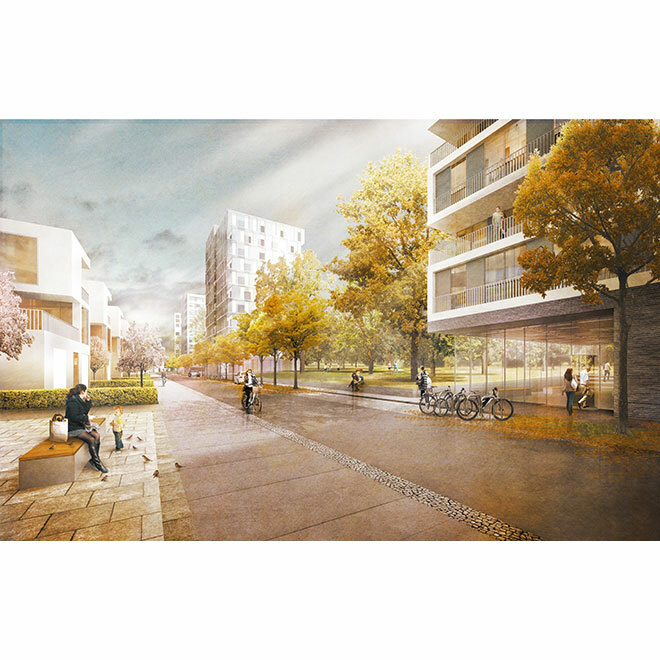 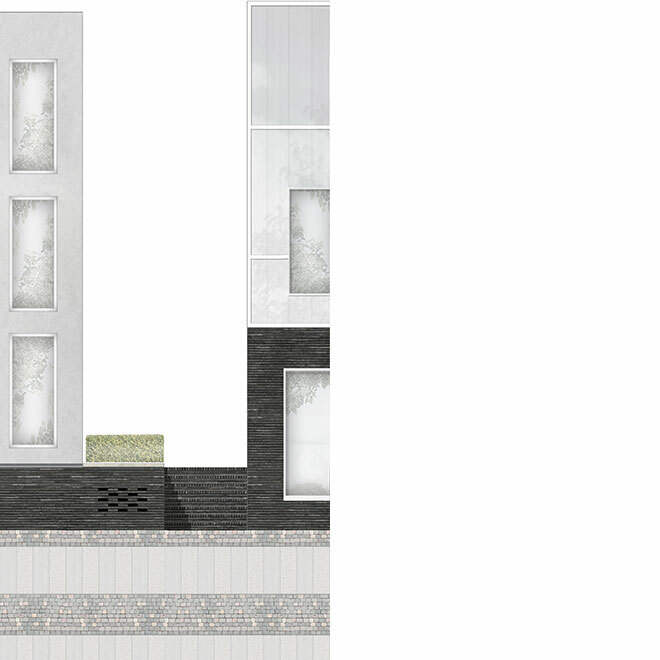 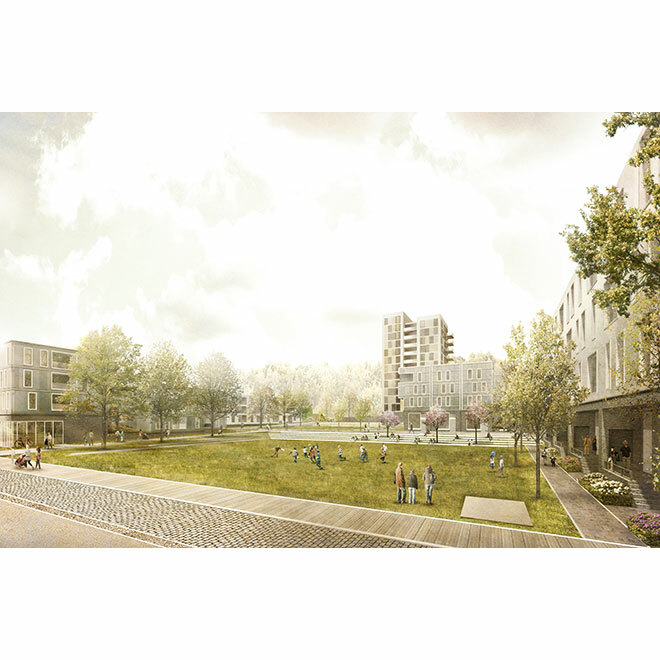 The Patchwork fits into the surrounding development pattern and creates a differentiated living environment that can easily become a community and a home, through the variety of different open spaces and local pathways. 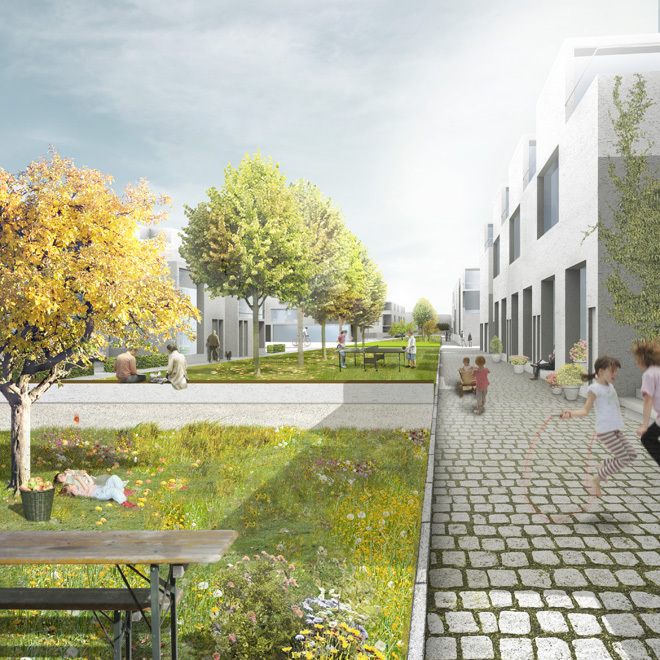 in collaboration with Atelier Dreiseitl (landscape) and Fondation Kybernetik with Balck + Partner, Facility Engineering (energy). 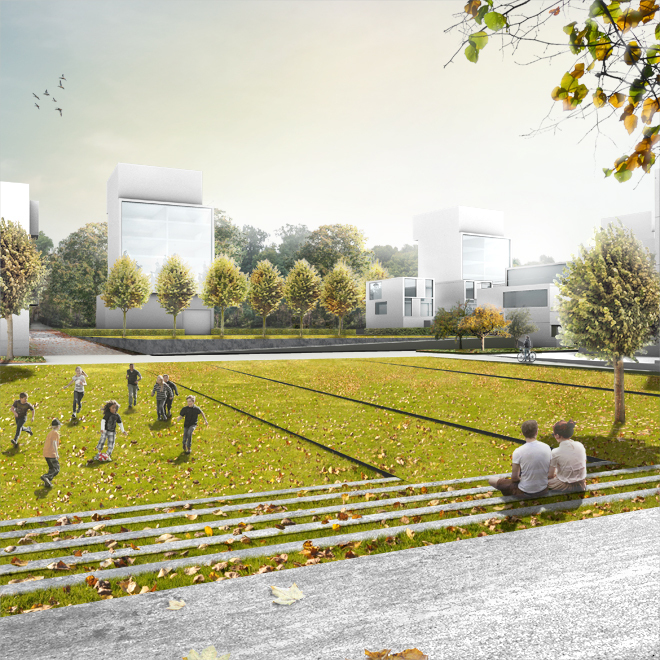 in collaboration with Atelier Dreiseitl (landscape), Buro Happold. 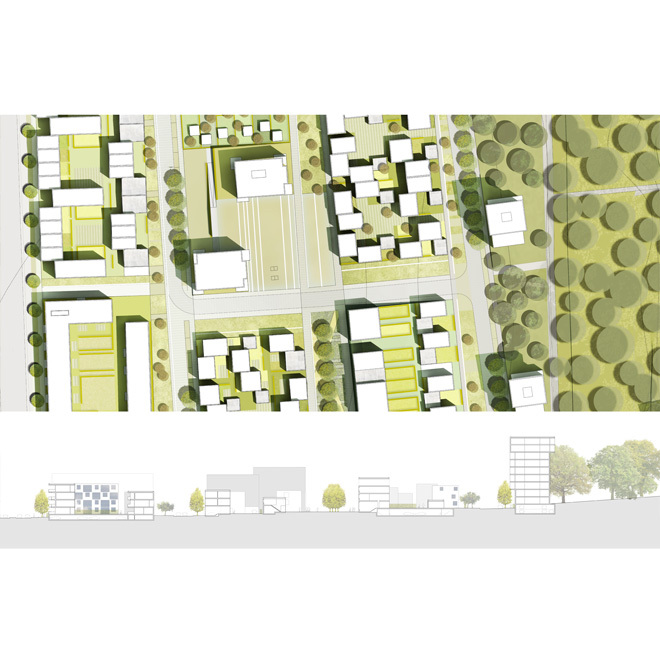 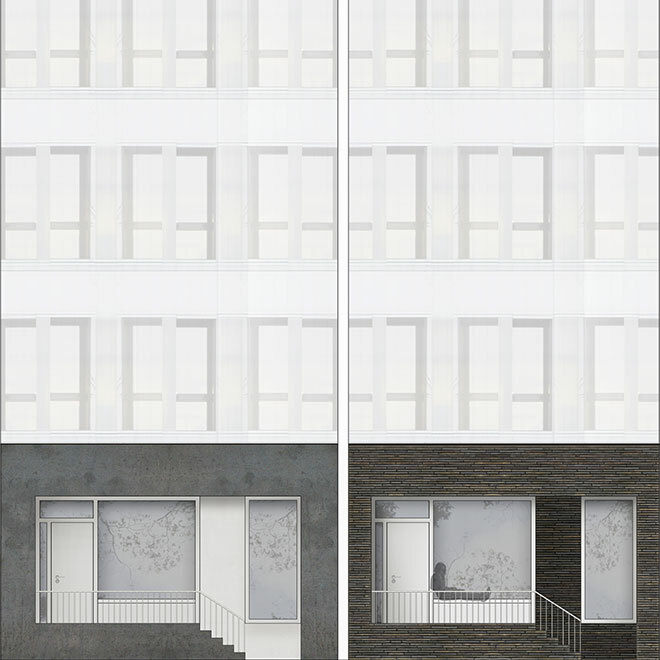 in collaboration with Anna Viader (landscape) and Kopperroth (sustainability).